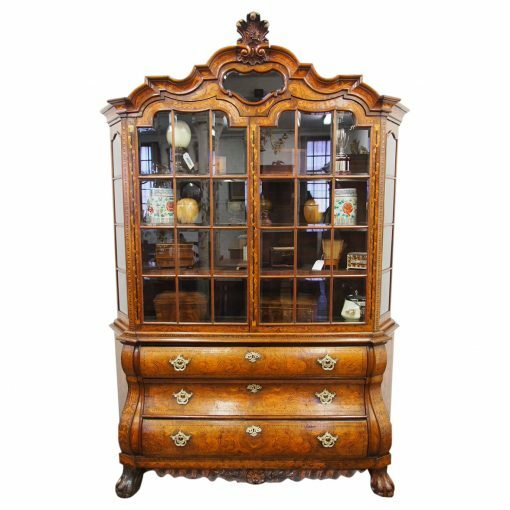 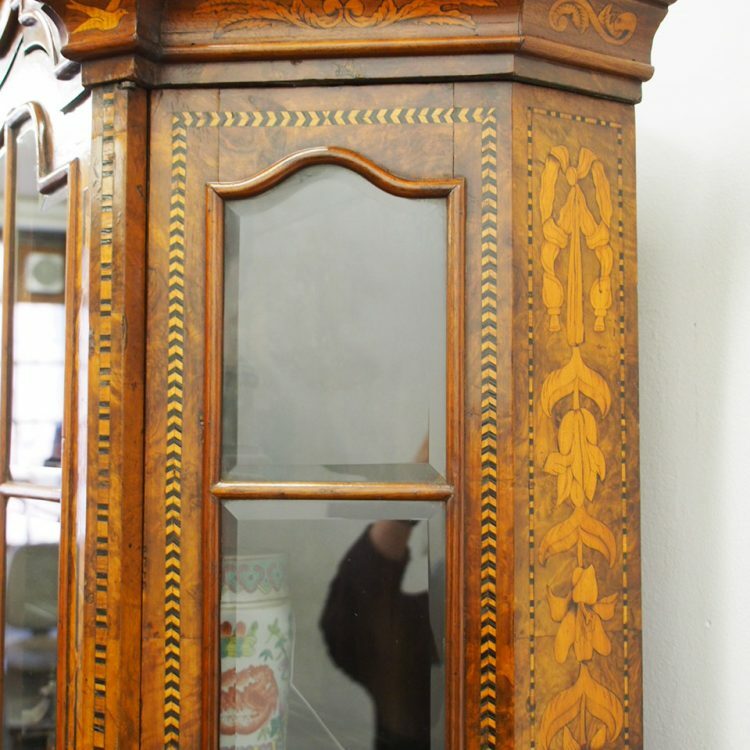 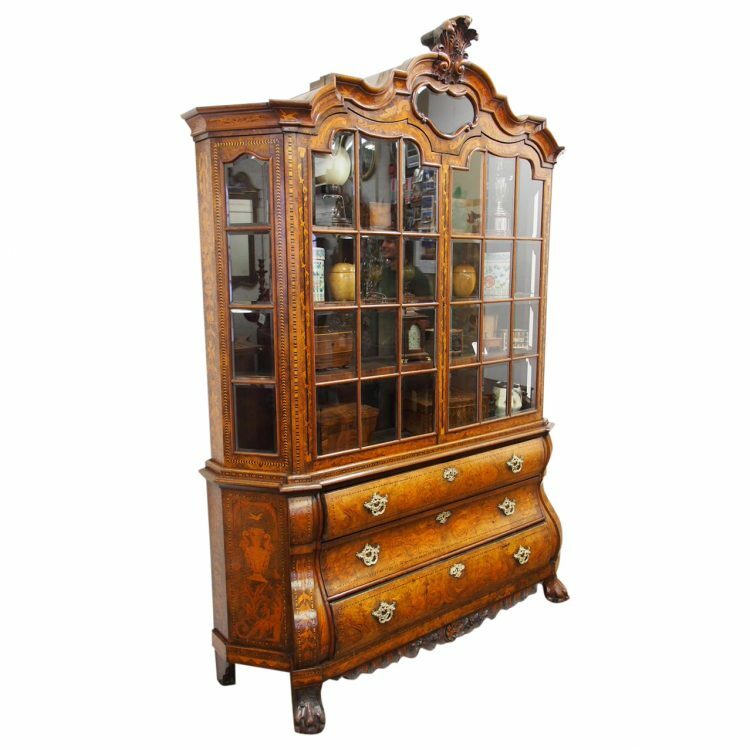 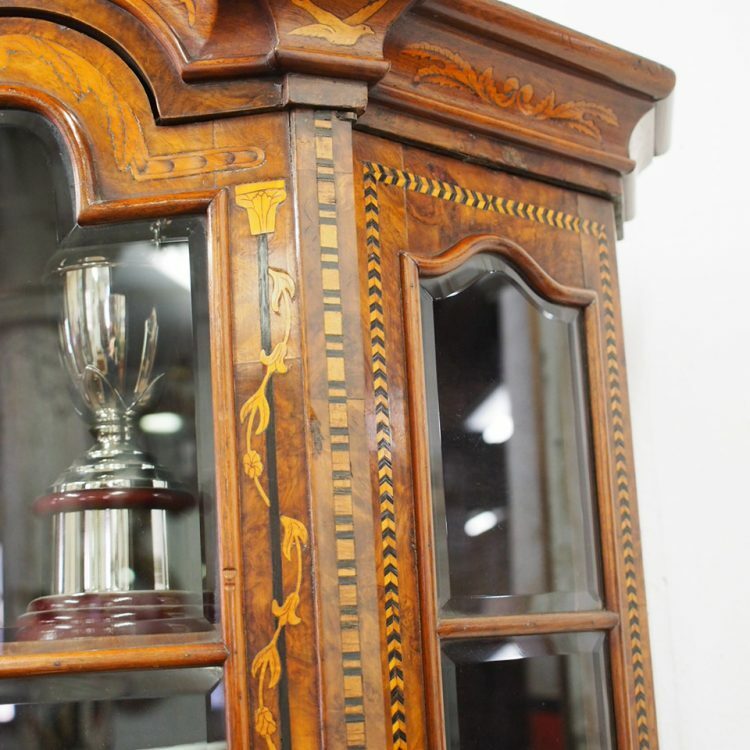 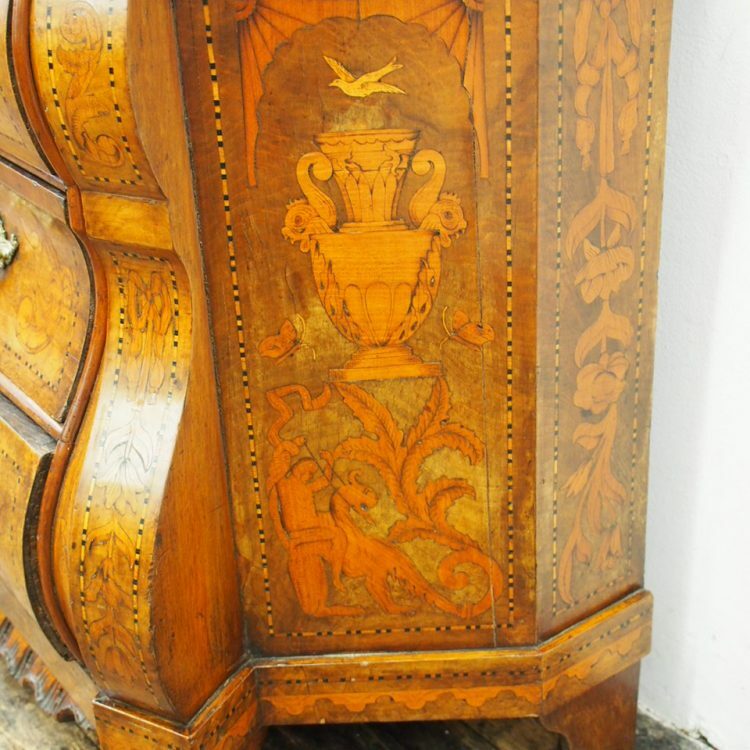 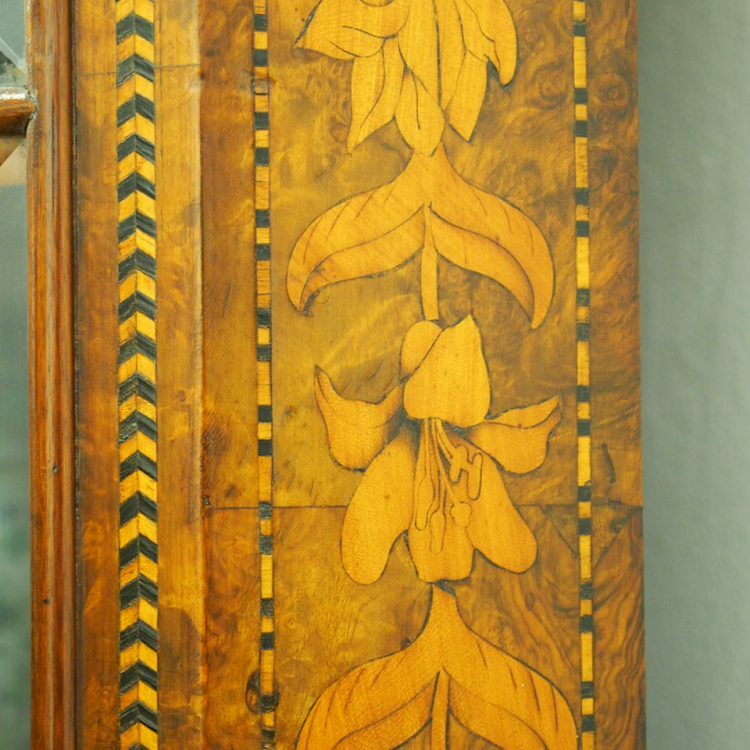 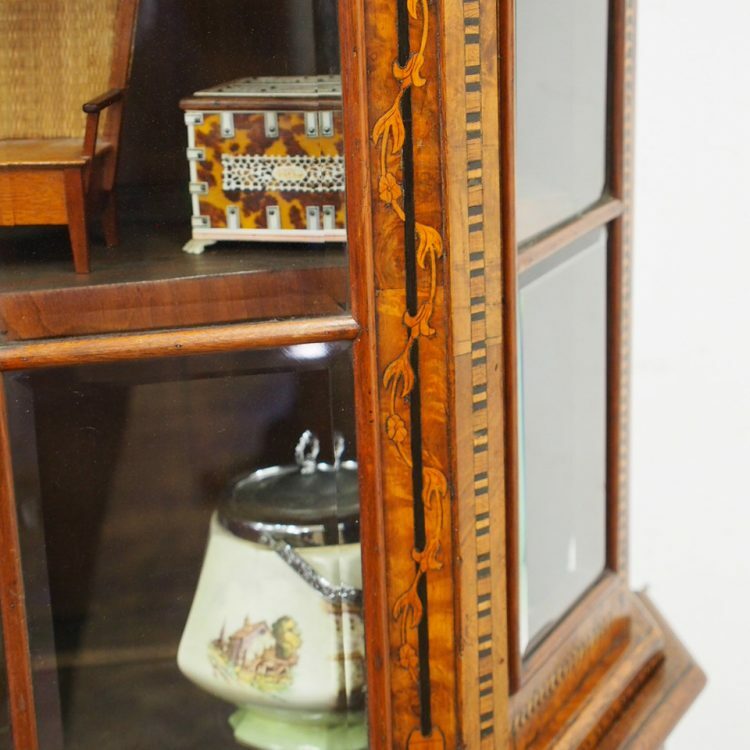 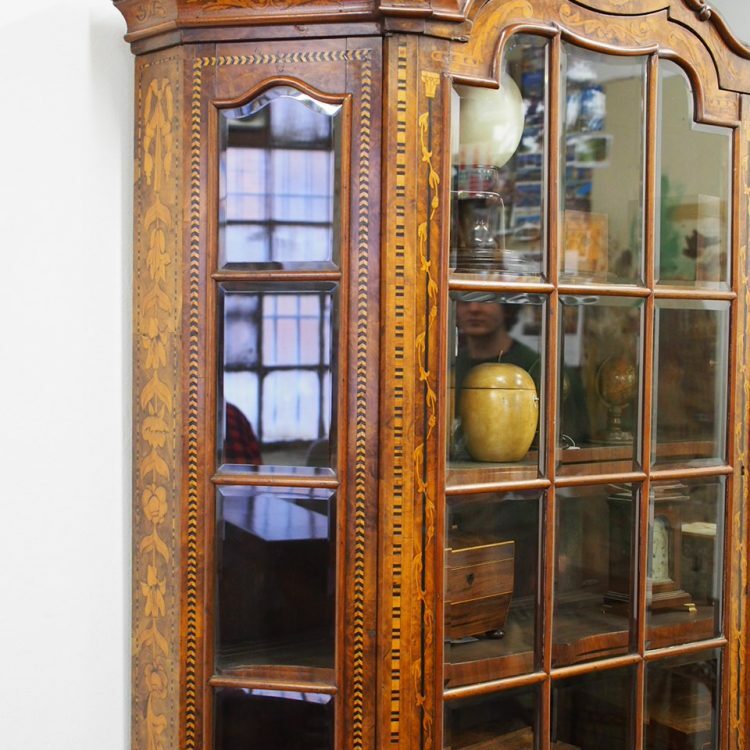 Circa 1820, Dutch floral marquetry inlaid walnut and fruitwood display cabinet. 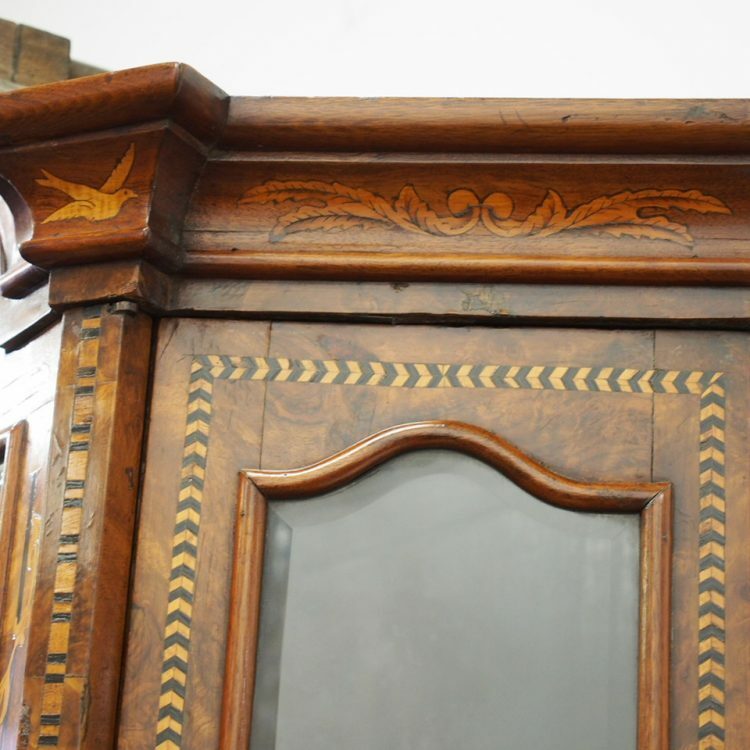 The shaped baroque style cornice is surmounted by a foliate crest, and it has a frieze with inset shaped bevelled glazing, over two astragal bevel glazed doors and an interior with shaped shelves. 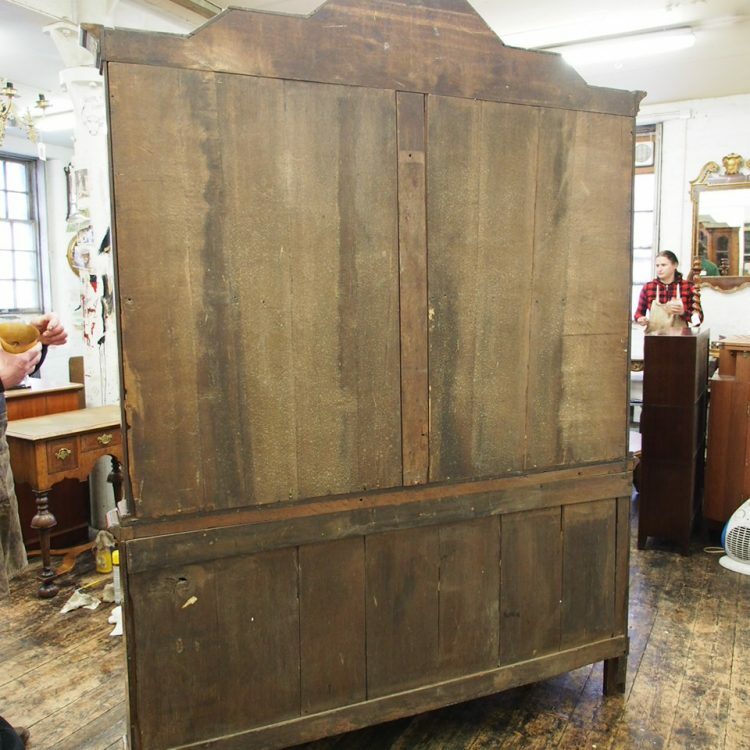 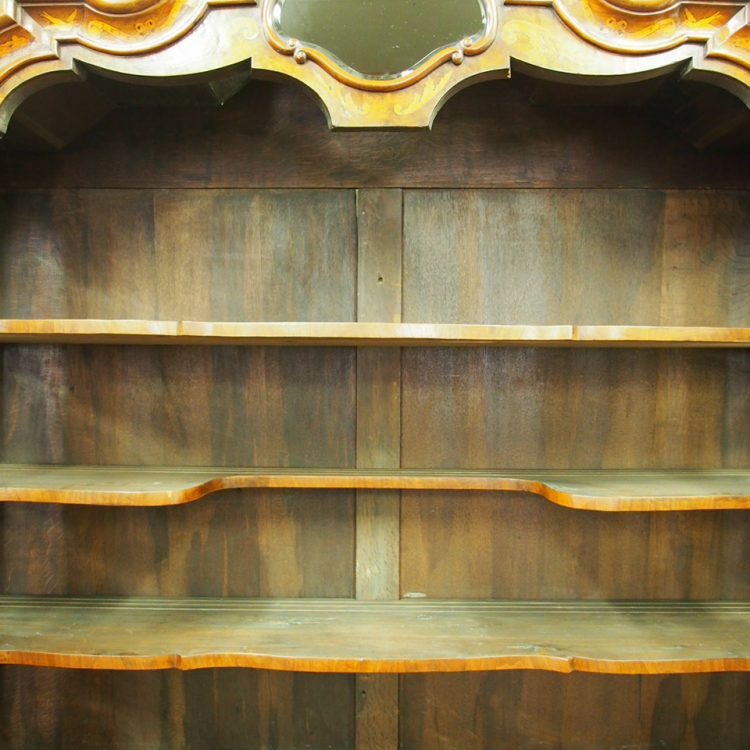 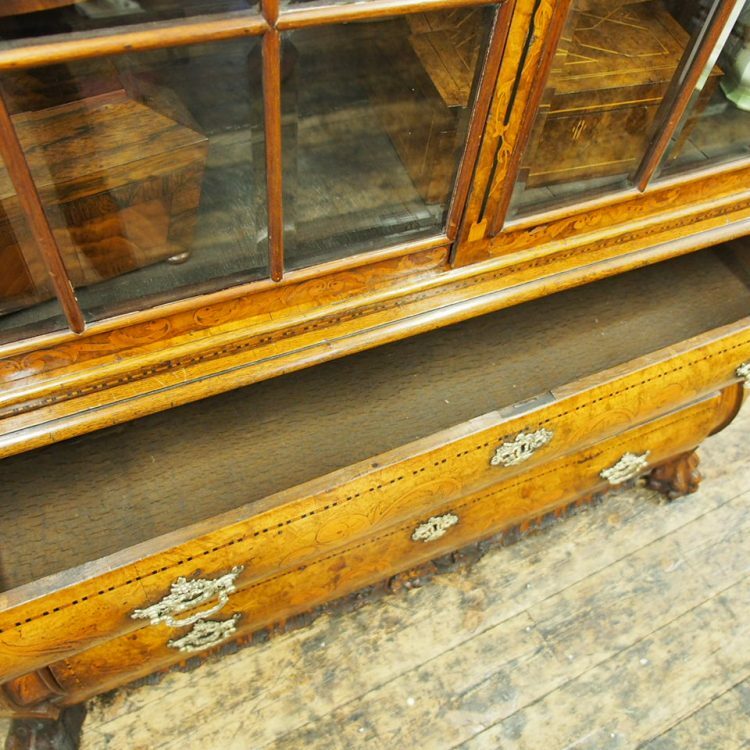 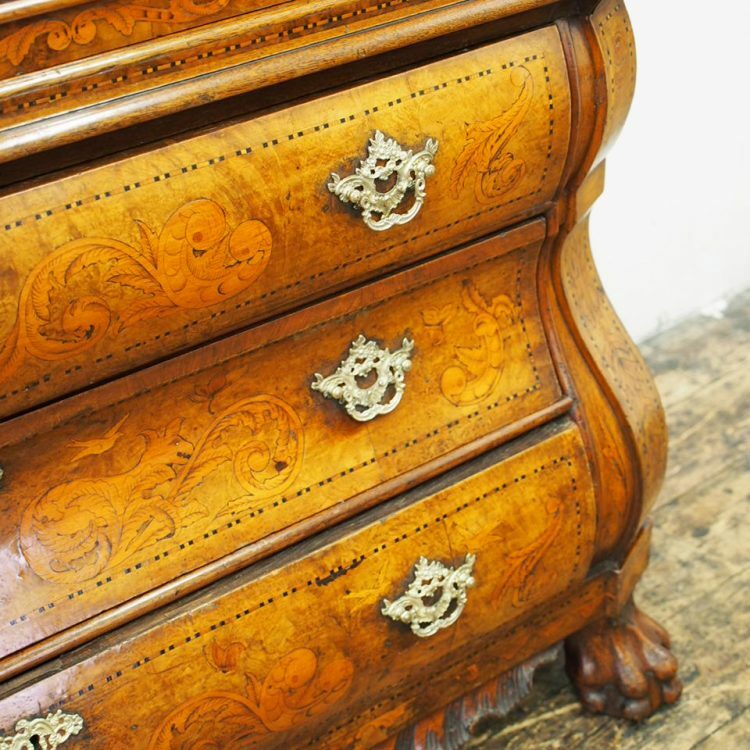 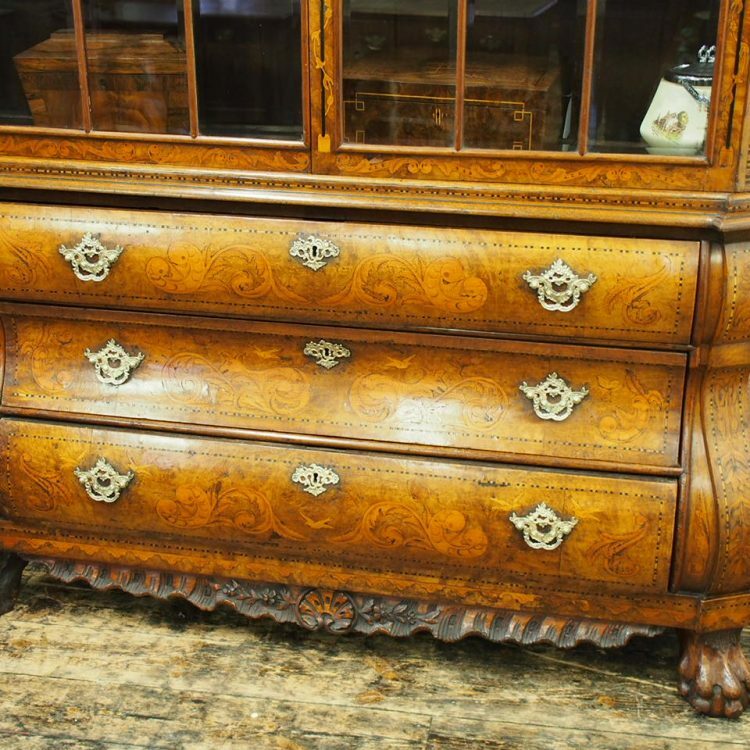 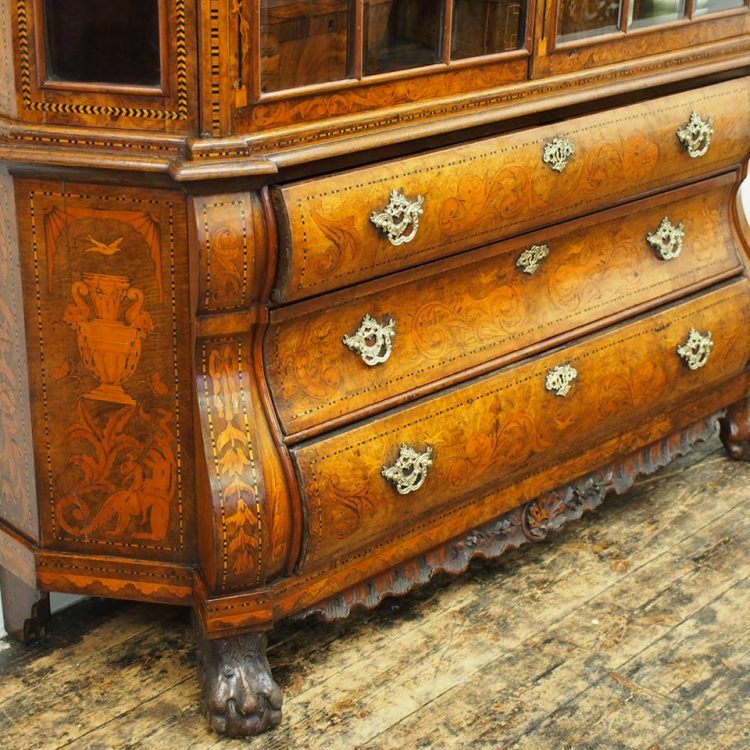 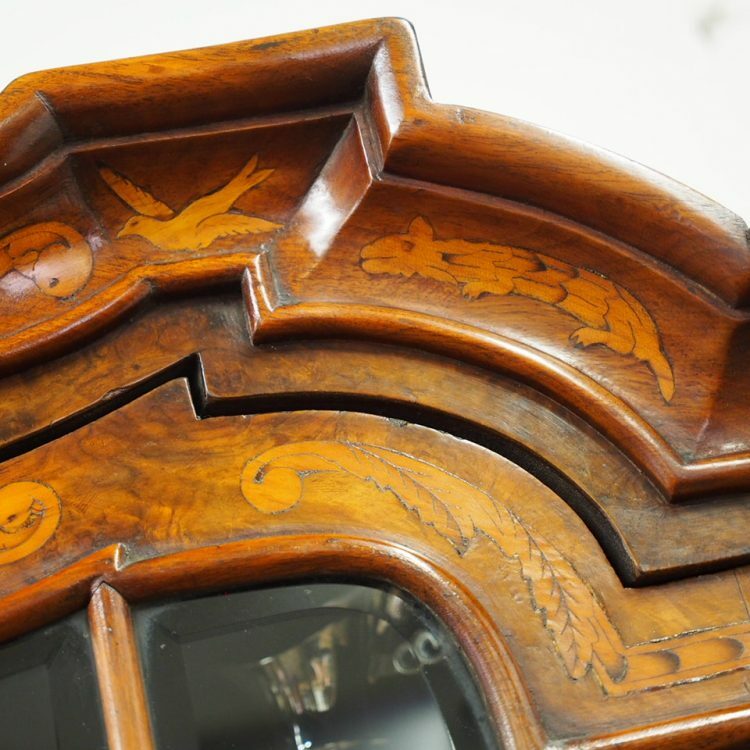 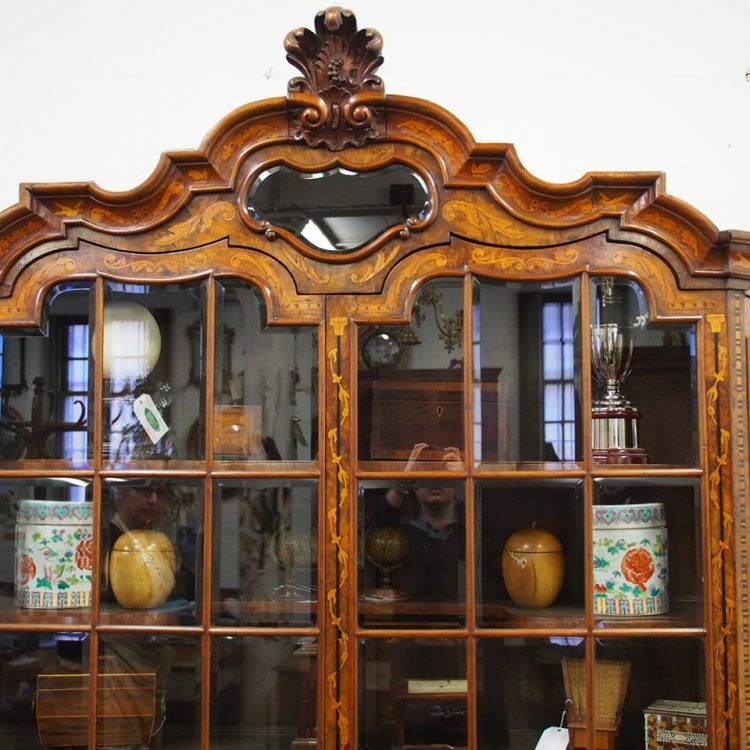 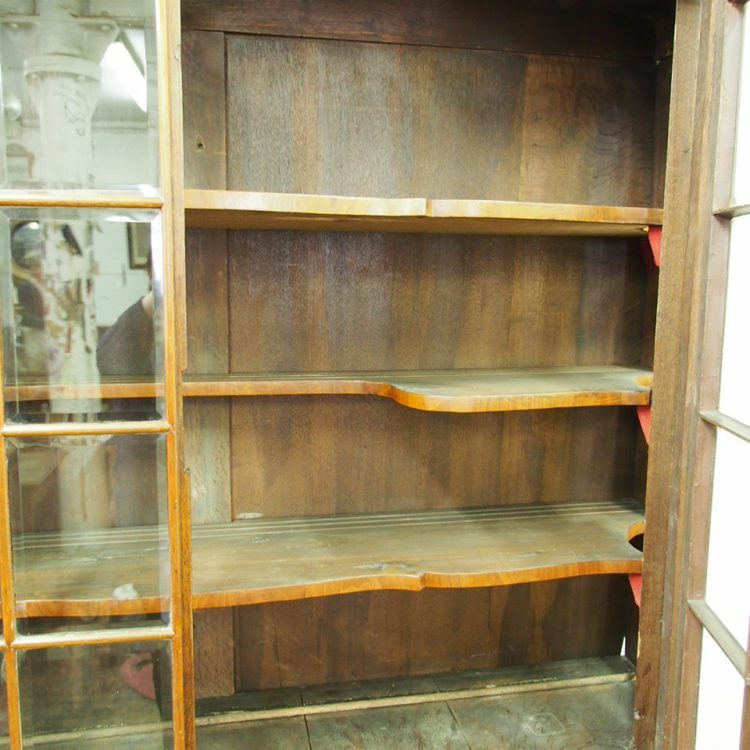 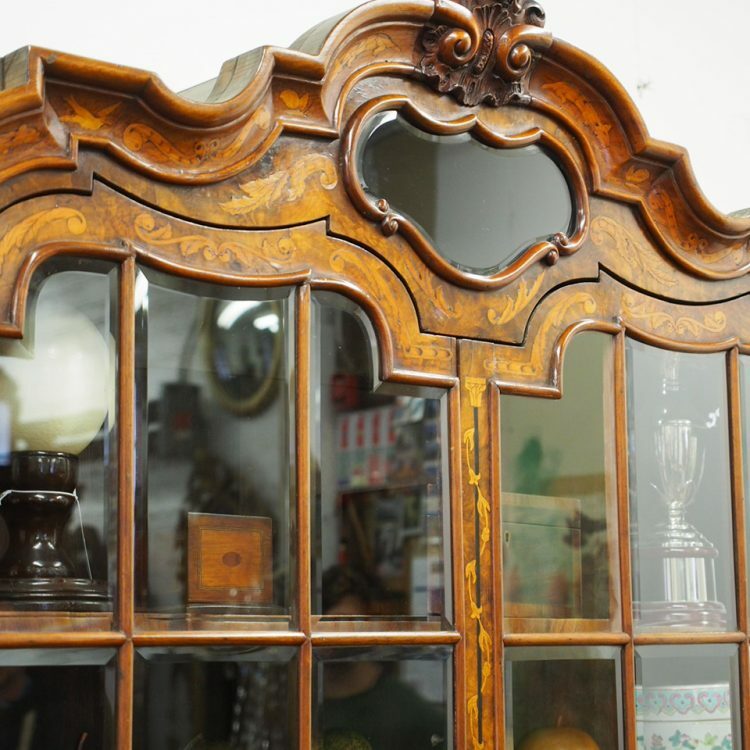 It has canted gables with inlay and astragal glazing all on a bombe-front base with three shaped drawers. 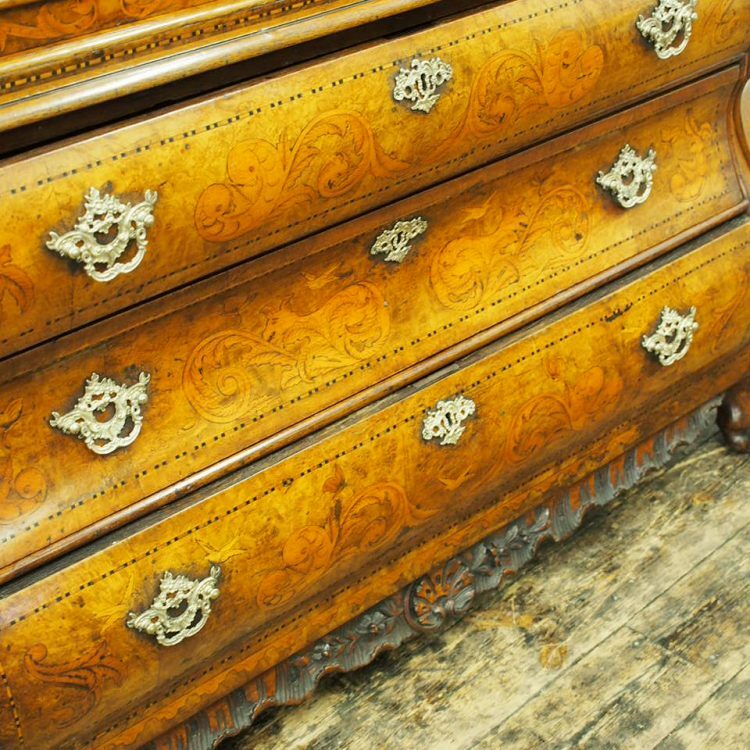 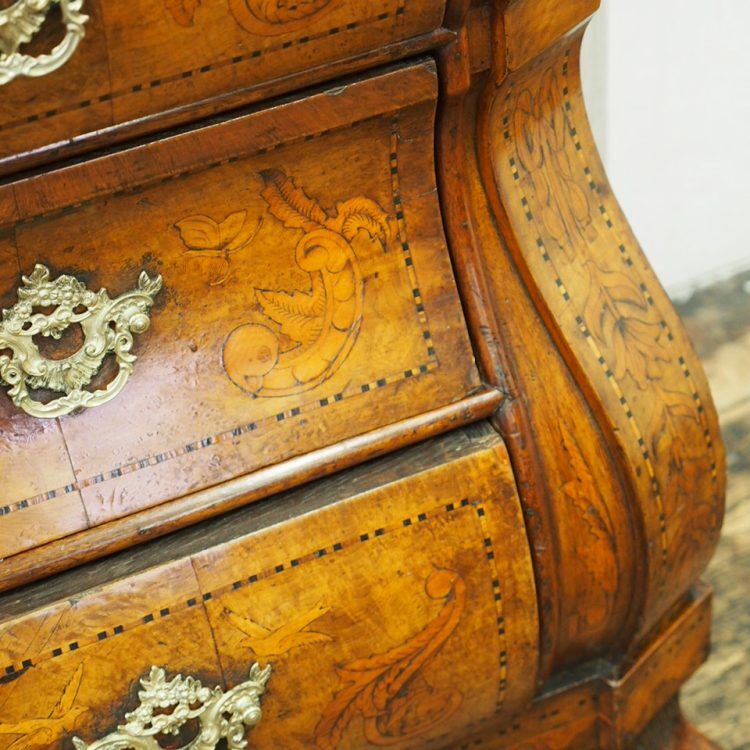 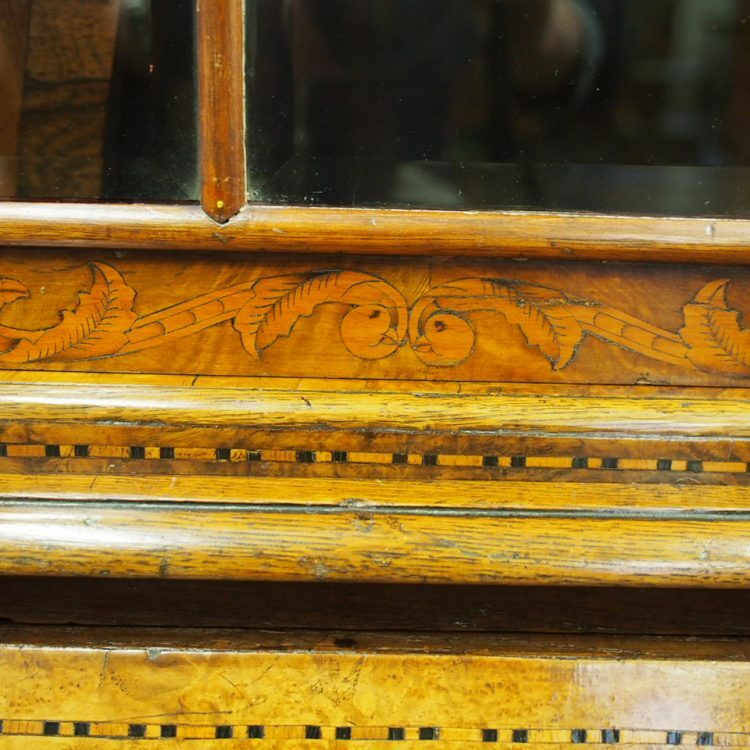 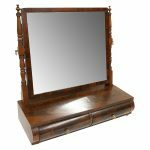 These are decorated with floral marquetry inlay and they have cast rococo style handles and escutcheons, all sitting over a carved skirt and bold carved claw feet.